Omicron Family Restaurant is a American, Fast Food, and American Traditional restaurant where most Menuism users came for a family meal, paid less than $10, and tipped between 15% to 18%. "Great portions at a good price. Just wish they carried spinach pie on a regular basis. It's awesome! Gyros are fantastic. " "Breakfast is huge. They gave us free soup for a carryout." "Food was edible but not dekicious"
"Large portions for decent price, tasty food "
"The worst customer service I have witnessed at a restaurant. Very displeased. Food served cold and food literally thrown on plate"
"Treat customers with respect and smile. It would boost business"
"Try the breakfast menu it's awesome"
An American food lover from Scales Mound, IL tried it, liked it, and rated it . They liked the food, liked the service, and liked the ambiance. An American chowhound from US tried it, liked it, and rated it . They liked the food, liked the service, and liked the ambiance. An American food lover from West Bend, WI tried it, liked it, and rated it . They liked the food, liked the service, and liked the ambiance. An American food lover from Cedar Rapids, IA tried it, liked it, and rated it . They liked the food, liked the service, and liked the ambiance. An American food lover from Brodhead, WI tried it, liked it, and rated it . They liked the food, liked the service, and liked the ambiance. A diner from Brodhead, WI tried it. A diner from Barbourville, KY tried it, liked it, and rated it . They liked the food, liked the service, and liked the ambiance. A diner from West Bend, WI tried it. 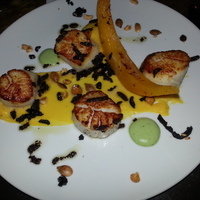 An American food lover from Hubertus, WI tried it, liked it, and rated it . They liked the food, liked the service, and liked the ambiance. An American food lover from West Bend, WI tried it and liked it. They liked the food and liked the service. 3 reviews of Omicron Family Restaurant, first by bobbyjophoto. Went to Omicron Family Restaurant with some friends for Sunday breakfast. The place was packed! To me, that’s always a good sign. The menu has a lot to choose from for breakfast – something for everyone. I like that the omelettes come with hashbrowns and toast. And the portions are huge! I was amazed at how much food you get for the price. While it was very busy, we did have to ask our server a couple of times for refills on our water (but we were also drinking coffee and juice). Overall, the food was very good, and I will go back. Very large portion, came with hashbrowns and toast. Came out of the kitchen hot, and it was very flavorful. We were screamed at by the owner to get out after we returned our food. The food order was not what we ordered and it was ice cold. Im a longtime resident of the city, and I eat out often. Omnicron has always kept a high standard for food and staff quality. These dishes from the Omicron Family Restaurant menu are contributed by Menuism users directly, as part of a restaurant review, or as part of a photo upload. A German food lover from West Bend, WI tried The Braising Pan and liked it. An American (New) chowhound from Madison, WI tried Timmer's On Big CEDAR Lake, liked it, and rated it . They liked the food, liked the service, and liked the ambiance. A Pizza chowhound from Jackson, WI tried Eaton's Fresh Pizza, liked it, and rated it . They liked the food, liked the service, and liked the ambiance. An American food lover from Hartford, WI tried Copper Penny Family Restaurant and liked it. A German chowhound from Slinger, WI tried The Braising Pan. A dining patron from Minneapolis, MN tried Moonlighting, liked it, and rated it . They liked the food, liked the service, and liked the ambiance. A Brewery food lover from Richfield, WI tried Riverside Brewery & Restaurant. A Steak chowhound from US tried Ninja Japanese Steak House. A diner from US tried Copper Penny Family Restaurant. A diner from US tried The Grasshopper , liked it, and rated it . They liked the food, liked the service, and liked the ambiance. Do you own Omicron Family Restaurant? Contact us to connect with your diners. People found this by searching for: Omicron Restaurant West Bend Wi, Omicron West Bend Wi Menu, Omicron West Bend Wi, Omicron Restaurant, Omicron Restaurant West Bend, Omicron West Bend, and Omicron, West Bend.